(Slate / Lt. Gray Stone) – 1D4GP25R55B186064. OEM 2014-2016 DODGE CARAVAN CHRYSLER TOWN & COUNTRY. DODGE GRAND CARAVAN. RH RIGHT PASSENGER MIRROR. for:CHRYSLER TOWN & COUNTRY. Location: Nissan. OEM 2014-2015 DODGE CARAVAN CHRYSLER TOWN & COUNTRY. for: DODGE GRAND CARAVAN. RH RIGHT PASSENGER MIRROR. CHRYSLER TOWN & COUNTRY. PART # 20754, REPLACES # 4019660. 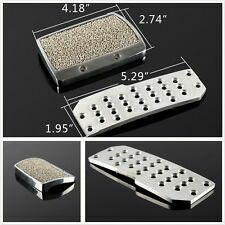 NEW BRAKE PEDAL PAD. 84-06 Caravan. 87-06 Great Caravan. 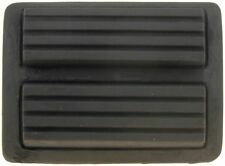 FITS: 87-08 Dodge Dakota. 80-06 Chrysler Town & country. 80-95 Chrysler Lebaron. CONDITION: New. This Accelerator Gas Pedal was pulled from a used 08 Dodge Grand Caravan SE and is in great working and physical condition. (Not all of our vehicles contained all of their parts upon arrival at our facility). NOS New Old Stock OEM Mopar Part in Original Box! Chrysler Part No. 2014 Dodge Ram Caravan Minivan Key Ignition Switch Assembly. OEM 2010-2015 DODGE CARAVAN CHRYSLER TOWN & COUNTRY. for: DODGE GRAND CARAVAN. LH LEFT DRIVER MIRROR. years: CHRYSLER TOWN & COUNTRY. Location: Nissan. OEM 2009 DODGE CARAVAN CHRYSLER TOWN & COUNTRY. for: DODGE GRAND CARAVAN. LH LEFT DRIVER MIRROR. years: CHRYSLER TOWN & COUNTRY. Location: Nissan. 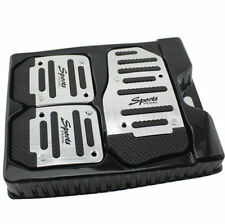 ® Heavy Duty Brake and Clutch Pedal Pads (for manual transmission only). Premium heavy duty Brake and Clutch Pedal Pads (for manual transmission only), designed tough and made from the highest quality materials. FREE LOCAL PICK-UP here in MI, PONTIAC 48340. OEM 2013-2015 DODGE GRAND CARAVAN CHRYSLER TOWN & COUNTRY. for: DODGE GRAND CARAVAN. LH LEFT SILVER DRIVER MIRROR. CHRYSLER TOWN & COUNTRY. 02.16 MIRROR 1. color: BILLETT SILVER. Location: Nissan. 2011 DODGE GRAND CARAVAN. FOR MORE DETAILS CALL YOUR LOCAL DEALER! NOT ALL PARTS FIT THESE INTERCHANGES. 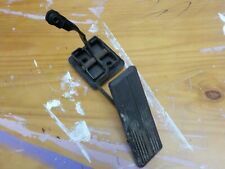 1998 Dodge Grand Caravan Accelerator Pedal. Accelerator Gas Pedal. 1996-00 Plymouth Grand Voyager. 1996-00 Dodge Caravan. 1996-00 Dodge Grand Caravan. 1996-00 Chrysler Town & Country. OEM 2010 2011 2012 2013 2014 2015 DODGE GRAND CARAVAN CHRYSLER TOWN & COUNTRY LH LEFT DRIVER MIRROR. OEM 2010-2015 DODGE CARAVAN CHRYSLER TOWN & COUNTRY. for: DODGE GRAND CARAVAN. LH LEFT DRIVER MIRROR. OEM 2008-2009 DODGE CARAVAN CHRYSLER TOWN & COUNTRY. for: DODGE GRAND CARAVAN. LH LEFT BEIGE DRIVER MIRROR. CHRYSLER TOWN & COUNTRY. 04.14 BEIGE 1. new OEM product . Location: 5.0. Off a 2004 Dodge Caravan 3.3L SXT. Used Brake Pedal Assembly. 2001-2007 Chrysler Town & Country, Dodge Caravan. (all states, & territories), unless otherwise noted. You're buying aused GAS PEDAL. It's hard to fix a problem if I don't know there was one in the beginning. not responsible for misdiagnosis. not responsible for cost of installation. OEM 2010-2015 DODGE CARAVAN CHRYSLER TOWN & COUNTRY. for: DODGE GRAND CARAVAN. LH LEFT DRIVER MIRROR. CHRYSLER TOWN & COUNTRY. Location: 3.0. Genuine Mopar OEM Parts! Compatible with the following vehicles. 2012-2017 Dodge Ram 3500. 2012-2017 Dodge Ram 4500. 2005-2010 Chrysler 300. 2012-2017 Dodge Ram 5500. 1993-2004 Chrysler 300M. 1995-2000 Chrysler Cirrus. OEM 2012-2016 DODGE CARAVAN CHRYSLER TOWN & COUNTRY. DODGE GRAND CARAVAN. LH LEFT DRIVER MIRROR. for: CHRYSLER TOWN & COUNTRY. Location: Nissan. Dodge Caravan Brake Pedal Assembly OEM 04721735AC 07 06 05 04 03 02 01. Condition is Used. Shipped with Economy Shipping. Part Number: 20727. Established in 1959! Replaces OE #: 4019715AB, 4019715, 4019715, 4019715AB. - Select "More Actions, Cancel Order". Cancelations and Changes. No exceptions. Exhaust Parts. Steering & Suspension. Oil Coolers. Warranty: 1 Year. You are viewing a (10 11 12 13-15 DODGE CARAVAN CHRYSLER TOWN & COUNTRY MIRROR LH LEFT DRIVER 1AB731RPAI-OEM). Be sure to match part numbers complete accuracy and fit for your vehicle. USA Seller! Ships FAST and FREE from the USA! Model: CARAVAN. Manufacturer: DODGE. Many Late Model radios, computers, and modules are designed to work in conjunction with your car's VIN #. Consequently, you may need your dealer to reprogram at your expense. Model: GRAND CARAVAN. 02WK19 08 CARAVAN. GRAND CARAVAN 08-16. Make: DODGE. Year: 2008. All blocks are sold bare. No crankshafts or pistons are included. Not all main cap bolts are included due to most need to be changed upon rebuild. 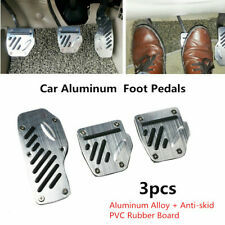 Brake pedal approx: 5cm x 13.5cm. 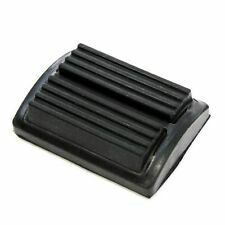 Accelerator / Clutch Pedal approx: 10.5cm x 7cm. Universal Fit For Honda /Acura Vehicles With Automatic transmission Honda. Material: Aluminum. USA Seller, Ships FAST and FREE!